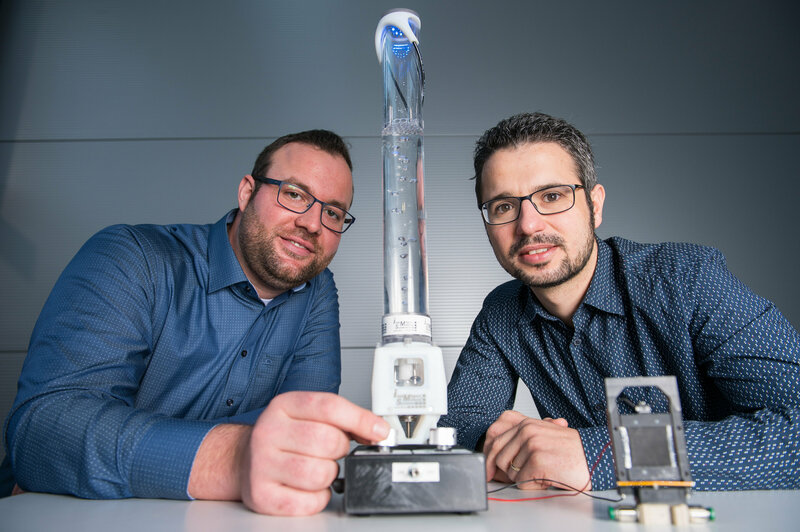 The valves and pumps created by the Saarbrücken research group are made from a thin silicone film that is printed on both sides with an electrically conducting material. Scientists refer to these materials as dielectric elastomers. ‘If we apply a voltage to the film, it generates an electrostatic attractive force that compresses the film, causing it to expand out sideways,’ says Steffen Hau, a Ph.D. engineer working in Seelecke’s team. By altering the applied electric field in a controlled manner, the engineers can make the film undergo high-frequency vibrations or continuously variable flexing motions. Effectively, the film can adopt almost any required position or orientation. ‘These properties mean that the film can be used to design novel drive systems,’ explains Hau.